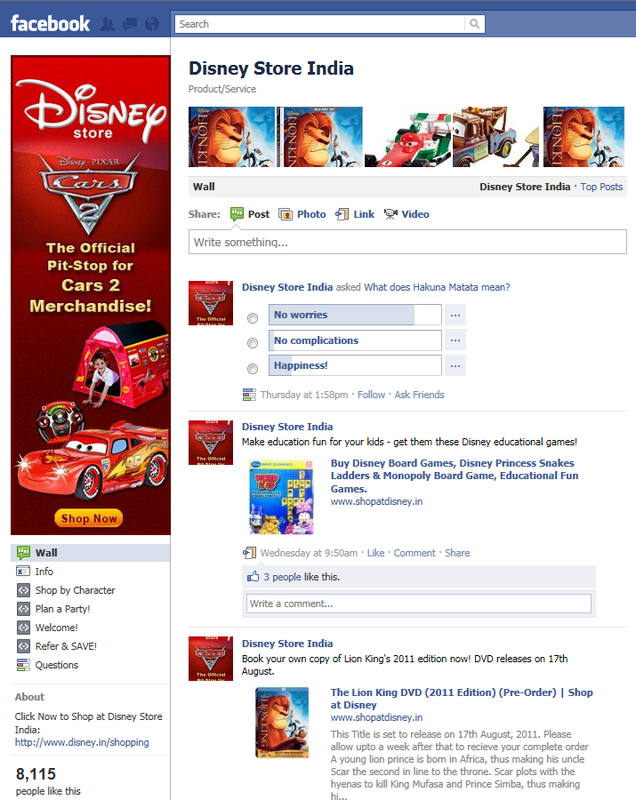 Disney Store India’s Facebook page is the usual stuff that brand pages are made of. A post a day, with a nice spread of polls, q&a with fans alternating with the profiling of ‘Shop at Disney’ cutesie goodies - which is the key objective of the page. 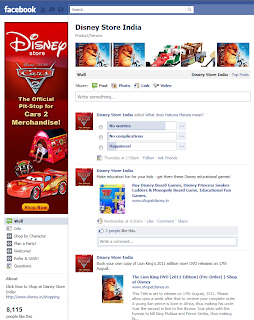 Lead-ins to the Disney Store have been worked out from most links and posts. I missed that ‘special something’ for die-hard Disney fans though. Lets hope it only gets better with time.